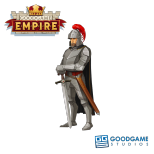 Many kings in the great Goodgame Empire strive for glory and riches. Some aspire to hold all the power for themselves – that may be bold or it may be foolish! Others know that the key to power is to skillfully apply diplomacy to further their influence and form alliances. Learn all about what diplomacy involves in the newest entry in Sir Ulrich’s commander’s logbook! I look out over the rooftops in my castle from the highest tower of the Keep. There’s lots going on in the streets, goods are piling up in the marketplace, and my soldiers are standing watch on the walls. It fills me with pride to know that my people are safe and happy. I can’t take all the credit, however, since my glorious allies have continually helped me on the road to becoming a legend. My loyal alliance deserves the highest honor. Alliances are unions of individual castle lords. As leader, I am at the top of the hierarchy in my alliance, although every member plays an important role. We are more than allies, we are also friends. Every day we give each other useful advice, learn from one another, and support each other. By trading with one another, we strengthen the economy of each and every member. We also research useful technologies together, such as faster market barrows. All alliance members pay into the alliance funds to finance this research. 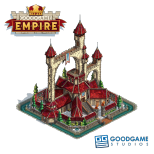 We can gain many more valuable advantages for our alliance by capturing important locations in the kingdom during military campaigns. For example, capitals allow us to recruit special units, trading metropolises increase food production, powerful royal towers strengthen our armies, and monuments boost our honor when we are victorious in battle. However, you must exercise caution, as other alliances often have their eyes on these strategically important locations. That’s why it’s important for every alliance to maintain diplomatic relations with other alliances and to make treaties such as pacts and non-aggression agreements. Those who surround themselves with allies are much safer from attack. This is particularly important when it comes to waging war against enemy alliances, when everyone needs to rally around and battle gallantly side by side. Together we plot attack and defense strategies, and on many occasions, my allies have helped me defend my castle as well. War is not just about the strength of your troops, though! It’s about having the negotiation skills to ensure a speedy return to peace. Life is best in times of peace. I can enjoy it most while sharing a banquet with my allied castle lords!